In Geelong there are a wide range of stores where you can buy food. There are many local shops that offer specials on fruits and vegetables weekly and places where you can buy more exclusive products. Cooking at home is the best option for tight budgets. However, you might like to eat out sometimes and Geelong has a place for every pocket and taste. You will need an Australian Sim Card when you arrive and there are many companies that offer different options, like the pre-paid sim card with combos that will give you internet and unlimited national calls and text messages for different prices, depending on how many GB of Data you want to use monthly, or a contract if you don’t want to top up every 28 days. You can find telephone companies in Westfield and Waurn Ponds shopping centres and other locations. if you take a room in a shared house/unit, you need to consider that, apart from the price of the room, you will be sharing the expenses of the bills, such as electricity, gas and water, and sometimes also Internet. 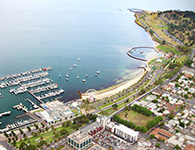 Rental costs in Geelong are generally lower than other cities like Melbourne and Sydney. Private rent ranges from AUD$120 - $150 per week for a single room in a share house. If you prefer to live alone, the average cost to rent a private apartment, unit or house is AUD$250 or more per week. Transport costs vary depending on where you live and the type of transport you are using. If you travel regularly by public transport you can save money by buying monthly passes. As an international student you may be eligible for a 50% discount on the price of Myki, with an iUsepass, if your education institution is a participant to the program. Read more here. The Australian Government's MoneySmart website provides information and guidance on managing your finances. You can read more here. If you experience financial concerns whilst studying in Geelong, speak with your institution’s international student support staff for assistance.